Dental implants are among the most preferred methods for tooth replacement, and it is one of Dr. Gold’s primary dental care specialties. Dental implants not only replace lost teeth, but also preserve jaw bone health and face shape without damaging neighboring teeth. At Newport Beach Dental Associates, we provide an all-in-one dental implants experience that does not require you to make visits to other locations. 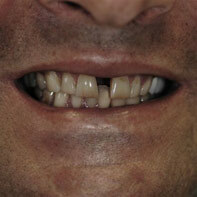 Our approach to dental implant treatments is different than other dentists. We apply a recently developed method known as Platelet Rich Growth in Factors (PRGF). This presents various benefits such as faster bone growth, enhanced soft tissue growth, and reduced healing time. This allows for Dr. Gold to perform dental implant procedures that restore teeth in only 4 months, as opposed to 8 months with other dentists. 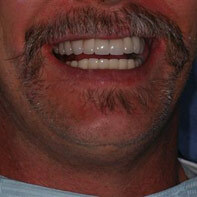 Numerous patients choose Dr. Gold as their Newport Beach dental implants specialist because he does them differently. While most dental offices do not offer everything in one treatment room, patients can receive the entire dental implants experience without leaving our office. Dr. Gold provides everything, including CT scans, tooth extraction, bone graph, implant insertion, abutment, and crown placement. 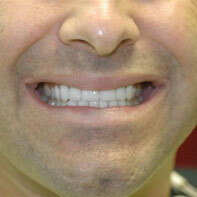 He ensures the implants remain secured and provide years of stability and functional improvement. 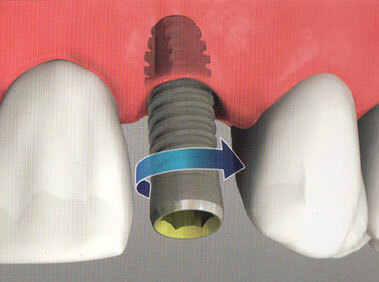 If you are missing one tooth or several teeth, you can be a great candidate for dental implants. 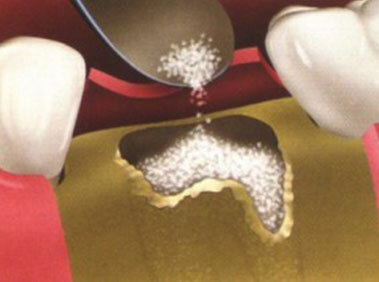 Dr. Gold works with modern, state-of-the-art technology to provide you the richest experience. While most dentists refer their patients out to other offices to complete different parts of the procedure, your dental implants treatment starts here and ends here at Newport Beach Dental Associates. 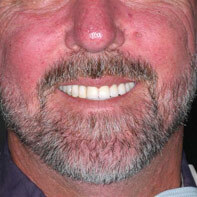 We are committed to building you a better smile with fully restored functional and cosmetic features. 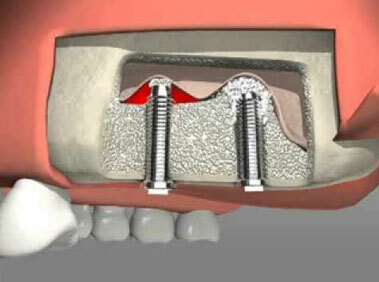 In most cases we can deliver immediate results the day the implants are placed. We look forward to helping you improve your life! Only Dr. Gold has the skills and experience to be able to provide his dental implant patients with a 100% satisfaction guarantee for 5 years. 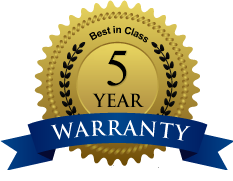 That’s right, at Newport Beach Dental Associates we’re so confident in the quality of our dental implants that we will go as far as to guarantee the procedure for 5 years! Dr. Gold, a Certified Implantologist has the experience that it takes to successfully repair a failed or broken implant. We can assure you that when you come for a dental implant procedure, it will be done with the highest quality and care you can expect from a professional dental expert. Sinus lifts are provided to patients who have lost more than one tooth or large volume of bone in the posterior upper jaw, have missing teeth from birth or genetic defects, and need a strong sinus floors for multiple implants. 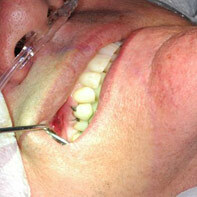 Additional bone is added between the jaw and maxillary sinuses using the patient’s own bone. Dr. Gold performs this special procedure for patients who have a sinus floor that is too close to the expected placement location of the dental implants. 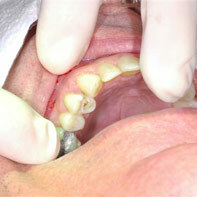 Advanced bone loss in the posterior jaw can present complications for dental implant treatments. Bone in the upper jaw is spongy, has large spaces, and is non-dense. 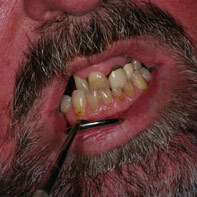 This is not the best candidate for dental implant therapy. 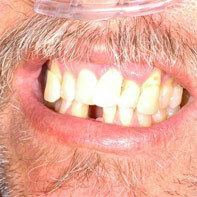 The loss of upper posterior teeth and increased size of the sinuses can encroach on the remaining bone. Sinus augmentation is performed to resolve these conditions and prevent complications from affecting the dental implant procedure. Bone grafting is performed to treat multiple fractures that have not healed well after an initial treatment. It also helps fuse two bones together across a diseased joint, help bones heal around the surgically implanted devices, and regenerate bone lost to disease, infection, or injury. Prior to the procedure, Dr. Gold will evaluate you to determine which type of bone graft can be used. General anesthesia is also available, which will be monitored along with your recovery. An incision is made above the skin where the graft is needed. The donated bone will be reshaped to fit the expected placement area and be held in place with pins, plates, or screws. The incision wound will then be closed with stitches and bandages. It is important to schedule follow up visits to ensure the recovery is progressing as expected. The ICAT® Cone Beam 3-D imaging system allows patients to have a 3D digital image of their face and jaw. This technology helps Dr. Gold make an accurate diagnosis of complex conditions that may affect dental implant treatment. It is a faster, safer, and more accommodating method of facial scan for patients. 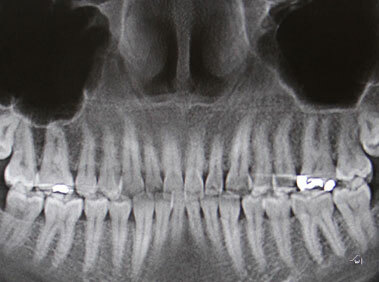 The x-rays are performed through the scan and takes only 30 seconds to complete. Patients are exposed to a less significant amount of radiation than with other imaging techniques. Take a look at our before and after gallery to see the magic we’ve worked on others!